Two weeks ago we had the pleasure of hosting Luca Dazi and his assistants Devis Carli and Eleonora Manoni from Sala d’Armi Achille Marozzo for a weekend seminar on sword and dagger. First day focused on the systems of Giacomo di Grassi and Antonio Manciolino, while Sunday was dedicated to Achille Marozzo himself. 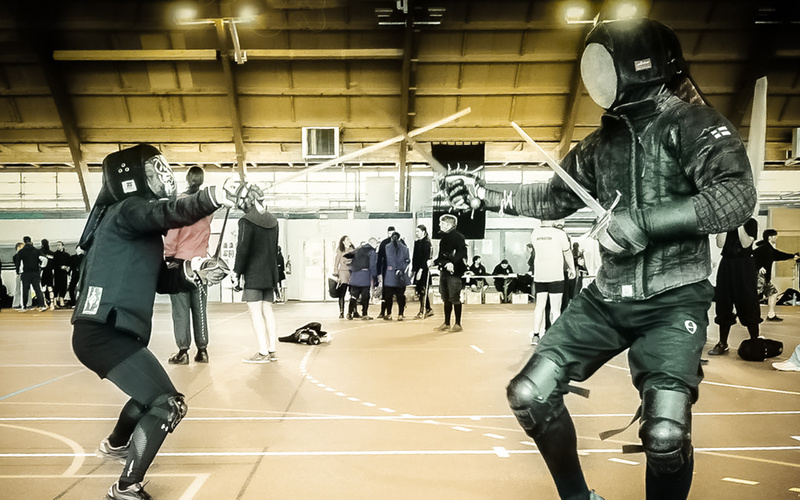 The weekend seminar marked a few first times for our historical fencing club. 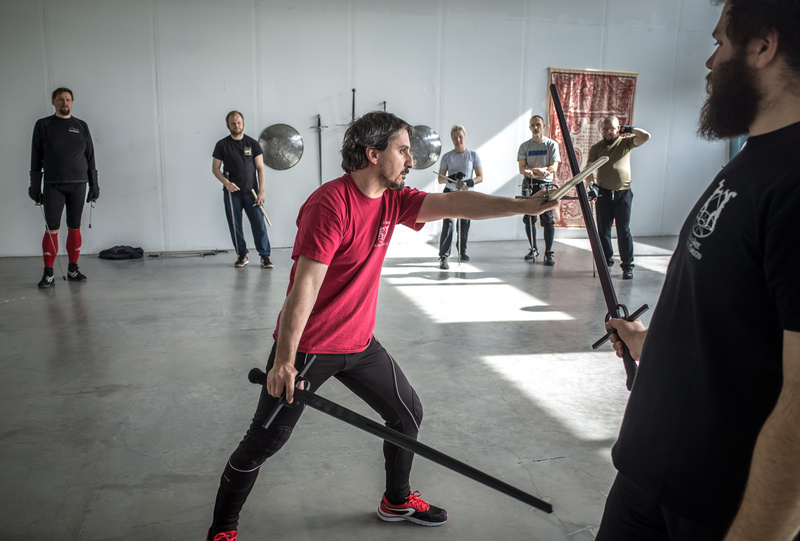 It was the first external instructor workshop held at our new training hall, and it was the first time during our five-year history that we have invited an instructor to teach us Bolognese swordplay. Given our strong focus on sidesword without accompanying weapons (which is largely due to my personal preferences) it was a natural choice to invite an instructor who is capable of delivering quality content other than just spada sola.
! [Our instructors, Eleonora, Devis and Luca. ](http://i0.wp.com/res.cloudinary.com/marozzo/image/upload/h_751,w_1080/v1468450429/ld3_rl6osa.jpg?resize=1024%2C712)Our instructors for the weekend, Eleonora, Devis and Luca. I have met Luca in many occasions during the last few years, and we have always had great discussions on all aspects of Bolognese swordplay and other things. He is one of the most diligent, humble and analytical scholars of the Renaissance sword arts that I know, and he has what I think of as the ideal attitude towards this work: he strives to improve himself, never turns down a chance to fence with anyone and is always willing to go back to the source to learn more from the words of the old masters. Truly a role model for the modern-day Bolognese swordsman. We gave Luca free hands to structure the two days as he best saw fit. He chose to introduce sword and dagger to us through di Grassi’s (who was strictly speaking Modenese, still almost walking distance from Bologna) and Manciolino’s shorter but practical systems. I found these to be an excellent introduction, but — despite of Luca’s attempts to persuade me — I could not make myself like di Grassi’s overly simplified guard system. Complicated and fantastical as they may be, I like my Bolognese porte di ferri and code lunghe. However, di Grassi’s techniques themselves were practical and clever. Manciolino’s system of four principal techniques and two guard positions was easy to learn and just as perfect as an introduction to the subject as was di Grassi. Probably for me and my students even easier, as the guards were already familiar to us. We finished Saturday with two hours of free fencing, where Luca wanted to fence with everyone who took the workshop. And we were over twenty participants. I am not sure if he managed to do that but I know he at least got very close! With the permission of Luca here is a video of Manciolino’s techniques practiced on Saturday. Though filmed quickly after two days of training, it is a good reference for anyone working with the source text and gives you a look into what sort of plays we did during the day. After the workshop we went for dinner (of course), worth mentioning is that Achille Marozzo joined us and enjoyed a glass of red. During Sunday we went through all fourteen of Marozzo’s plays for sword and dagger, which was a great way to build on what we did on the previous day. I loved Marozzo’s material, as every choice Marozzo makes in his techniques speak of an extreme understanding of the art. Practicing them gives me a sensation that I only really get while working with his text and the Anonimo Bolognese.
! [Studying the master's writing. ](http://i2.wp.com/res.cloudinary.com/marozzo/image/upload/h_707,w_1080/v1468450423/ld5_pswqzb.jpg?resize=1024%2C670)Studying the master’s writing. As I wrote in an [earlier post](http://marozzo.com/2015/05/02/in-search-of-certainty/), it is sometimes nice to be a student and externalize the responsibility of interpreting the sources. Bolognese sidearms are an area where I really benefit of this. Seeing how the Italians are so far ahead of us in this work it makes perfect sense to do so, and I would hope my work on the sidesword alone can serve a similar purpose to some others. While I don’t wish to criticize Marozzo’s writing, it is simply so much easier to *see* in person how to execute the actions than trying to build an internal model and picture to follow just from the text. For this reason I was really happy that we were able to go through all of Marozzo’s material on the subject. This is of course only a scratch on the surface, and the real work has to be done during the years to come. But I think for me this seminar was a good kick-start, and to some others in our club who have done more work with this weapon combination it was a huge confidence boost. Since they had earlier worked mainly with Giovanni dall’Agocchie’s material, now they had working knowledge of four masters’ work in total instead of just one. We finished the day again with a few hours of free fencing and then headed off for dinner and drinks. Luckily our guests did not have to leave until Monday, so there was no rush after the workshop was over. We were able to enjoy more discussions, mental sparring and exchange of ideas on the Bolognese tradition and HEMA in general. Besides being a good helper with sword and dagger our discussions lead me to re-think some of the ways I have done things before. I think I got a lot of great new ideas on classification of the cuts, the invitations inherent in the guards, cutting mechanics, footwork and other subjects.
! [Luca and Eleonora demonstrating a parry with the dagger and an about to happen thrust with the sword. ](http://i2.wp.com/res.cloudinary.com/marozzo/image/upload/h_716,w_1080/v1468450431/ld6_enpyiu.jpg?resize=1024%2C679)Luca and Eleonora demonstrating a parry with the dagger and an about to happen thrust with the sword. If you get a chance to attend a workshop by Luca you definitely should. His insights to the art and his practical experience enable him to deliver workshops that are useful to all participants regardless of previous knowledge. I wish I could have kept them here for another weekend, going through some other weapons in the Bolognese repertoire. Luckily I believe I can to catch up with Luca again in Italy after the summer. A big thank you to Luca, Eleonora and Devis for taking the time to come to Helsinki to share their martial heritage with us!